Mohapi Mosito is the true hero of the series thus far. 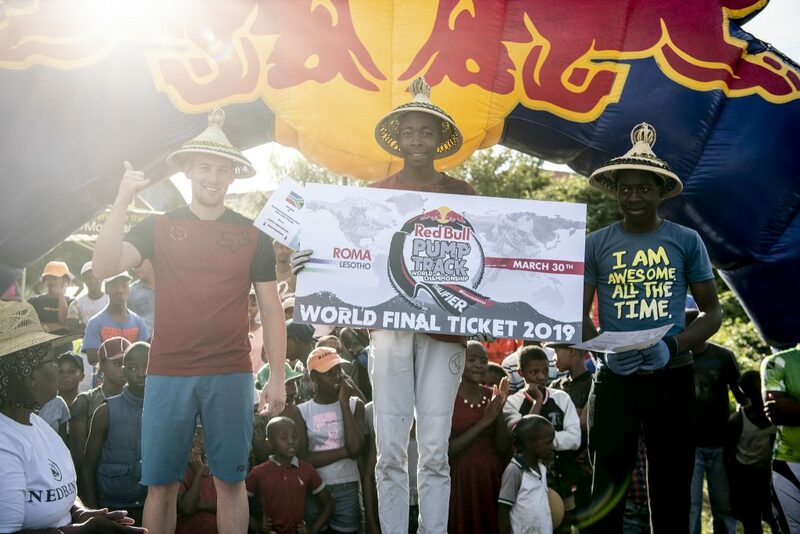 The 19 year old local rider at the Velosolutions Pump Track at Roma Trading Post secured his ticket to the World Final in fine form in the midst of local and international riders. Now almost two years since its completion, the pump track has become the base for a successful self-sustaining community development, boasting a locally run bike shop, events, the training of athletes and bike rentals to kids in the area. The home of the first #pumpforpeace initiative run by Velosolutions along with Lesotho Sky has proven its success with Molefi taking the win today and his journey to the World Final will be a special one.